Due to many requests we have programmed a new feature. 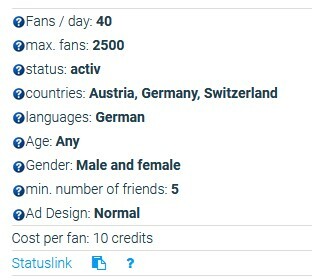 Starting today, each campaign has its own Statuslink page. The URL will be displayed in your login area. 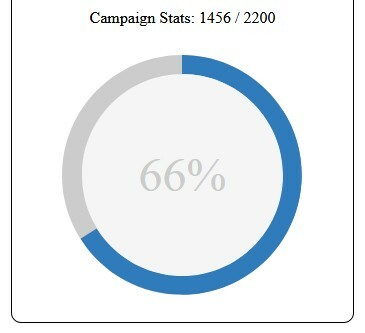 Use the Statuslink page to monitor the progress of your campaign. If you click the Statuslink, you will be redirected to the Statuslink page of your campaign. Here you can see at any time the current progress of your campaign. You can copy this link, put it in your favorites, or share it - so others can see the status of the campaign. Resellers can even change the URL of the Statuslink page to their own domain or redesign the entire content of the Statuslink page and adapt it to their company. Just click on the "?" near the Statuslink to get more information.